Bert’s Big Adventure would not be possible without the support of The Bert Show listeners and our sponsors. 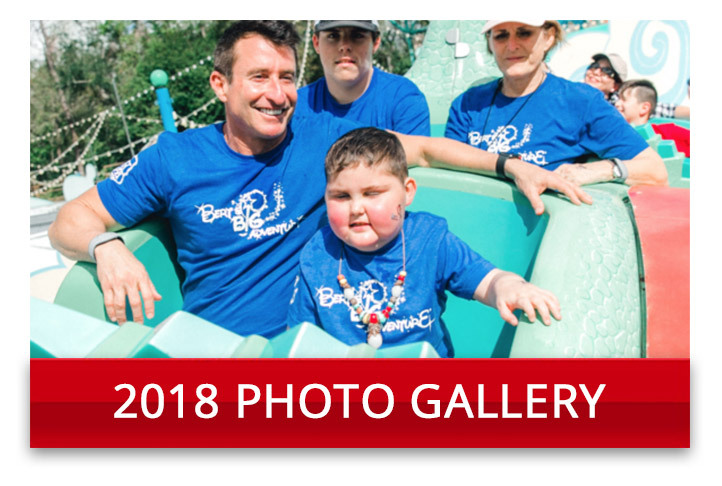 Without your help, we would not be able to give children with special medical needs and their families this magical trip to Walt Disney World. Thank you for your generosity in making Bert’s Big Adventure come true. Setup a recurring monthly donation payment for Bert’s Big Adventure. Simply choose your payment amount and it will automatically be donated each month. Donate in honor of someone special, in memory of a loved one or for a special occasion, an achievement, a holiday or birthday gift! Join Bert’s Big Birthday Club by asking your friends and family to donate to Bert’s Big Adventure in honor of your birthday! 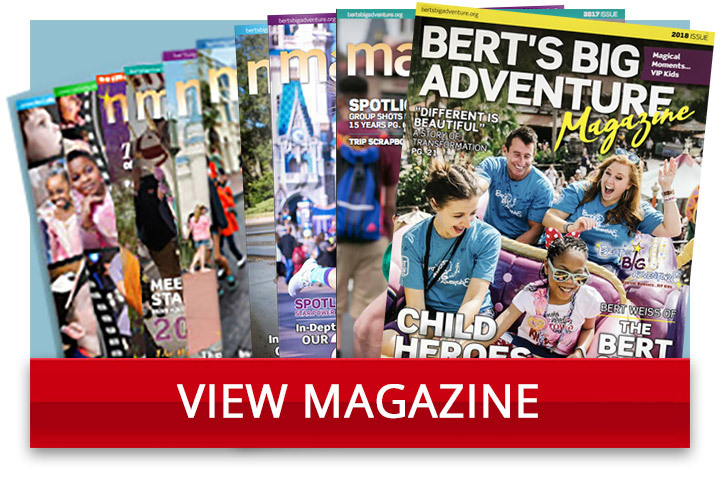 Check out the ways you can become a partner in helping Bert’s Big Adventure.